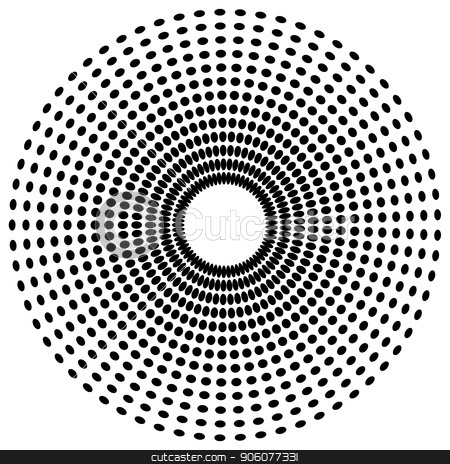 Vector of Dotted radial element. Abstract monochrome graphic. Vector.